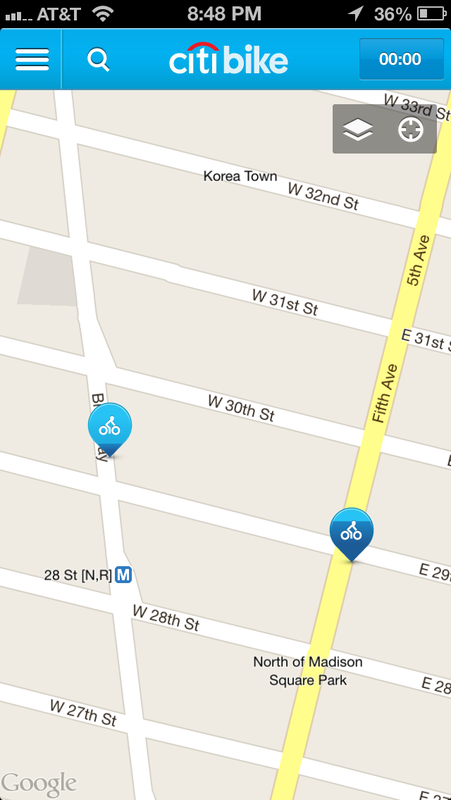 The recent app for Citi Bike in NYC features a smart, effortless visual indicator for bike stations that is quite successful. They could have done this little icon in several different ways: perhaps a simple static icon featuring the number of available bikes/docks for each station that when tapped would provide additional information. Instead, they explored a glass full/empty analogy (or hourglass metaphor) in a way that is playful, efficient, and understandable at a glance. Plus it is fed by live dynamic data. 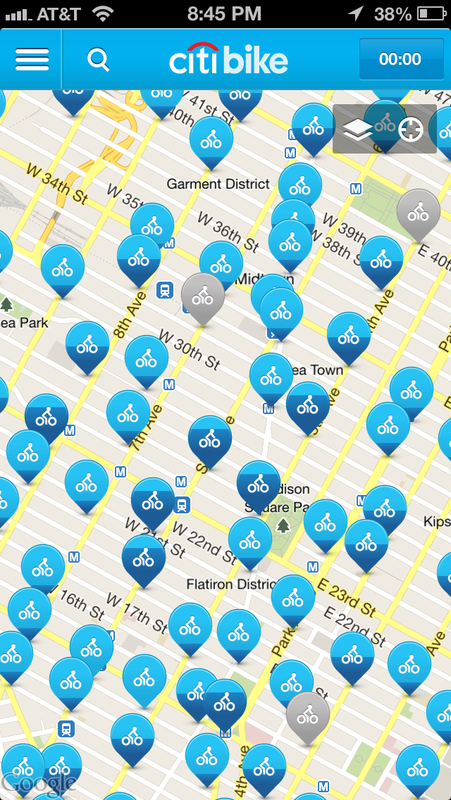 The pins that are “filled-up” with dark blue have more available bikes (better for picking them up), versus the cyan “empty” ones that have more available docks (great for dropping them). A simple execution that made me smile.